In 1940, Henry Christian Stephens (born 19th December 1896) conceived the idea of projecting films of aircraft onto a curved wall to train military forces. The notion came to Stephens when he attended a newsreel theatre and saw cinema film of ground-based gunners firing at aircraft. He had wondered to himself how the gunners were trained and how they could be made to be more effective. During World War 1, Stephens had served in the Royal Navy and was a midshipman aboard HMS Milbrook at the Battle of Jutland. He later joined the Royal Navy Volunteer Reserve. So he contacted an old naval friend and put forward his idea for training AA gunners. His friend got in touch with a senior figure within the Admiralty and Stephens was invited to rejoin the Navy as a sub-lieutenant. 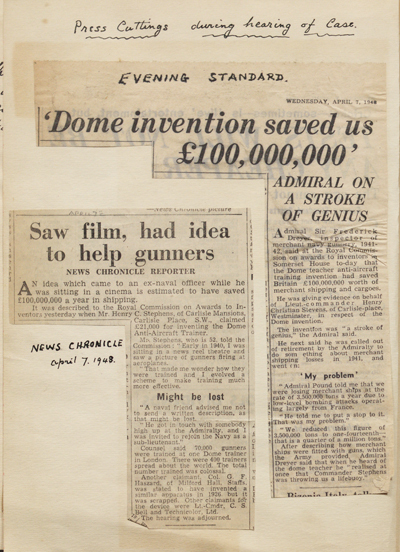 His idea was taken up and working alongside Bernard Happe and FG Gunn of Technicolor Ltd of Bath Rd, West Drayton, the first Dome Teacher was eventually installed at the Royal Naval Gunnery School, Whale Island, Portsmouth. 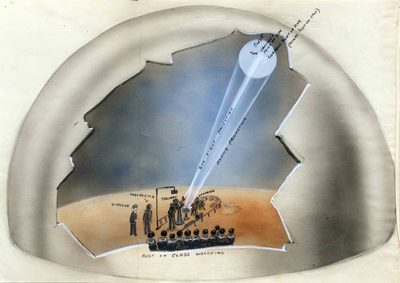 Technicolour produced the ‘Cinematographic Apparatus’ which projected the stop-frame films onto the interior walls of the dome and the company outlined several features of the system that they wanted to patent, as this 1941 top secret document reveals. Some 40 Dome Teachers were built around the UK alone. But Stephens’ revolutionary invention went global and was ultimately implemented in over 300 locations worldwide including Australia, Egypt, India and Canada. Lieutenant Commander Henry Christian Stephens RNVR died on 5th June, 1953. Officially called a ‘Dome Teacher’ or ‘Dome Instructor’ during WW2, today we’d call this building a ‘Simulator’ or ‘Trainer’. Another WW2 term used was ‘Synthetic Training’. 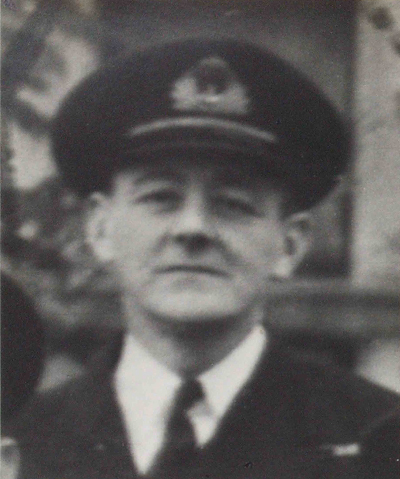 Henry Stephens in 1941 as an officer in the Royal Navy. © Estate of Henry Stephens. The invention saved billions for the armed forces. © Estate of Henry Stephens.